The Amarr 2731 features two steel skins surrounding 1-3/8" inches of CFC-free polystyrene. Each skin consists of woodgrain-embossed flush 27-gauge steel to provide a solid wall of protection from the elements. Our polystyrene insulation is free of Ozone depleting Chlorofluorocarbons (CFC) while providing efficient insulation to help reduce the negative environmental impact of heating and cooling energy use. Amarr is one of the well-established entrance automation brands that our company Entrematic owns. 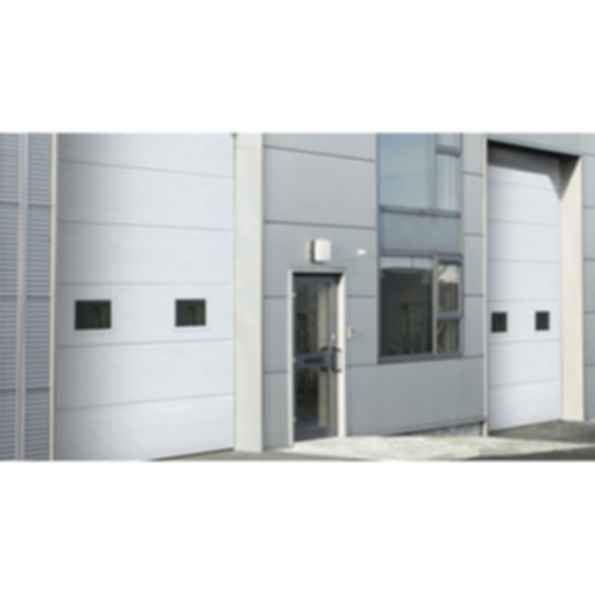 Entrematic provides one of the world's most complete range of entrance automation products and warehouse solutions, with nearly 200 years of cumulative experience. Made in the U.S., Amarr products have a legacy of innovation, high quality design and sustainability. With a complete line of garage doors including sectional, rolling sheet, rolling steel, aluminum full view, and LiftMaster® and Linear® garage door openers for residential, commercial and gate applications, Amarr entrance systems will meet your specific design and functional needs.